Labour | Something should go here, maybe later. It’s a shame that the Problem Gambling Foundation has lost it’s funding. But it’s quite another to try and weave a conspiracy into a situation where there is none. Ele Ludemann has a good post pointing out how Labour has tried to do just that. This is the sort of stunt which puts voters off. But I’ve noticed that Labour has never been too worried about keeping their stories straight. I wonder what that says about their voters? Update: It seems that the real reason they are upset is because the PGF is much more closely aligned with the Labour and Green parties than the Salvation Army is. Reminds me of the screaming over making student associations voluntary really. UPDATE2: Also worth thinking about how the PGF has reacted to the news they lost the tender. They immediately contact Trevor Mallard (no doubt through their public health manager who is a Labour Party candidate) and claim it was due to their opposition to Sky City. There are dozens of organisations out there who lose tenders when better bids are put in. Most don’t go running to Trevor Mallard to try and turn it into a political story. The fact they did so, shows how deeply political they had become. A very poor choice there by the PGF, very poor indeed. Woods has a habit of dredging up nastiness? Today DPF posted a vile bit of speech by Labour’s Megan Woods where she tried to connect the Nazis and National’s decision to sell minitoriy stakes in some government owned companies. 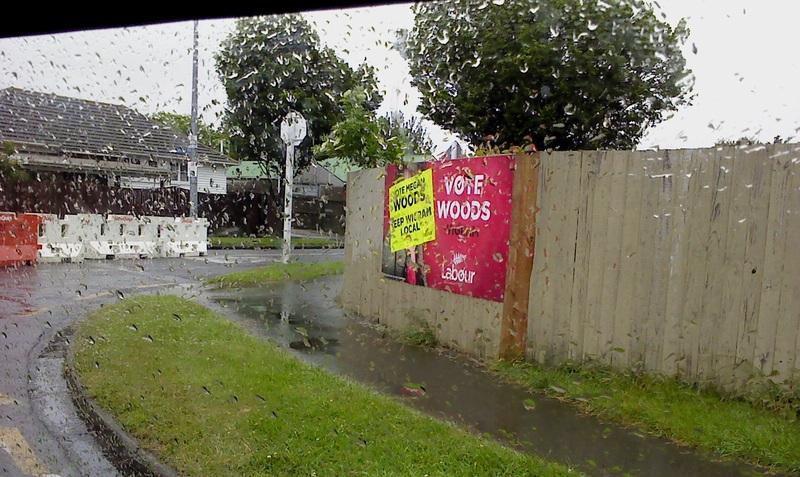 Anyho, it reminded me of this weird bit of election campaigning that I noticed while driving through Christchurch last year during the election campaign. The yellow sticker says “Vote Megan Woods”, “Keep Wigram Local”. Now, election results show that the race was between Labour and National (gee what a surprise!). The National candidate was Sam Collins. I was born, educated and worked in Christchurch. I have a deep connection to the city and community that has become even stronger in the aftermath of the two devastating earthquakes that have shaken our city to the core – but not beaten us! When the earthquake struck, I was living in London – where I worked in an educational charity and policy think tank. Expats from around the city came together in horror seeing much of our beautiful city reduced to rubble. I immediately chose to return to Christchurch to see what I could do for my family, my community and my city. But has, at the time of the election, returned to Christchurch to live. Woods appears to have never left – or at least has tried to give that impression. If you want to represent a Christchurch electorate, you must have lived and worked there your entire life. Given the number of candidates Labour has parachuted into electorates over the years (Brendon Burns anyone?) , this is a slightly weird position for a Labour MP to take. People who want to be an MP for a modest sized city must live in their electorate or they are not “local”. Frankly that’s a bit silly. I’ve driven through Christchurch and frankly there’s a dozen electroates there and they’re all part of one city – it’s hard to tell if you’re part if Ilam or Wigram or whatever most of the time. Suggesting that peple who live a few streets over aren’t “local” is idiotic. It’s also heavily implying that city people would have a bigotoed attitude – I’m sure that went down really well. Either way, it gives off a strong whiff of a bad English comedy. You know the one, where the creepy shopkeeper tells anyone they don’t recognize “this is a local shop, for local people” even if they’re from just down the road. I’m sure it’s just coincidence though. Scary thing is, this is not the only time Wilson did something like this. “Legal action wasn’t my first line of action. I first wrote to the Ministry for the Environment, and then to Iain Rennie at the State Services Commission. They both ignored me. I then wrote to the Speaker of the House, Margaret Wilson because, if you’re mentioned in Parliament you can get a rebuttal put on the parliamentary record. However the Speaker said she wouldn’t award me my right to do this unless I could prove that Mallard’s comments were hurtful and damaging to me. It was blatantly obvious to anyone that they were but what could I possibly provide her with at the time to prove this? Well, Labour today revealed their Christchurch policy. It’s ridiculous. It could only be written by a party that knows it has no chance of gaining power. But their “plan” does have one fan. Labour seems to recognise that the market isn’t working. Of course, if Labour wants to say something “isn’t working” then it just has to be the market. Hence the earlier (ludicrous) claim that the government is doing nothing. Which is in turn hampered by the science which suggest that providing insurance is financial suicide. But we can’t blame the facts now, can we? while blatant price gouging is preventing Red Zone inhabitants from relocating within the city, basically forcing them to leave. Strangely, no matter what the asking price on that land, it doesn’t change the fact that there isn’t enough of it to go around. The problem isn’t the price, it’s the shortage. The price merely reflects the shortage. I don’t think intervention is needed. In fact it may be counter productive. What is needed is some sort of scheme that takes on a minimal amount of risk to get the region going again – a stop gap measure so to speak. If the government works with insurance companies by taking on some risk themselves, that may “prime the pump” and get the market going again. Of course, this would be regarded as “bad” by idiot, who would be perfectly happy to see the entire nationwide insurance industry taken over by the government. and promising to compulsorily acquire land to provide new sections for affected residents. Well that’s a good idea. The New Zealand government has such a good record when it comes to land confiscations! How about we use the last government valuations to work out pricing – that’s worked well for the red zone! These are good policies, and while they will cost more in the short-term than the government’s present strategy, it will be worth it. Christchurch is too important to do on the cheap. They will cost more in the short term. Also the medium term, and the long term. I was John Pagani’s “blog” on stuff – specifically, this post. Funny how people who say they want lower taxes suddenly start sweating and spluttering when you say “yes, less tax on food”. This week, some people presented a petition to Parliament calling for no GST on food. No party is going to remove GST from all food, but Labour has promised to take the GST off fresh fruit and vegetables. Get that? Pagani didn’t even read his own link. I thought I’d do some more investigating into this. I searched for GST on No Right Turn. Idiot has been ever so insistent that Labour’s “GST off fruit and veg” policy was a good thing. The question is, who’s research is he taking that from? Well, I found this post. Interest seems to be growing in Rahui Katene’s bill to remove GST from healthy food. There’s a strong empirical case for the move, and it looks like it would work far better than the current government programme of education. But the government hates the idea. The latest excuse, from Peter Dunne, is that scrapping GST on food is “not viable” as it would cost too much money – about $330 million a year. Wow, “strong empirical case”. That sounds formidable. Wait, it’s not a study, it’s a TVNZ news story. Professor Tony Blakely from Otago University’s public health department has been looking into whether price discounts change people’s eating habits by conducting one of the largest studies of its type. The study took 1,100 shoppers and randomised them to either receive highly personalised health and nutrition information or price discounts of 12.5% off food. Blakely said, to their surprise, the nutritional information did not work, but a 12.5% drop in price increased people’s consumption of healthy food by 11%. The SHOP study was a randomised trial of 1,100 supermarket shoppers, half receiving price discounts on healthy food and half not, and half receiving tailored nutritional education and half not. Price discounts were found to be effective at increasing purchasing of healthy food, but did not have a statistically significant impact on nutritional outcome measures (e.g. percent saturated fat). Nutritional education was ineffective. The SHOP study has now been completed. The researchers were disappointed that the clear impact of price discounts on the types of food purchased did not translate to significant changes in nutrients such as saturated fat, sugar, or sodium. The modest increase in purchases of healthier foods, combined with the relatively small proportion of food that fell within this category (35% of all products), may account for this. In short, there is basicially no evidence that this policy will do a heck of a lot – and that’s an admission from people who really really wish it did. Bear in mind that the people in the study knew they were being monitored (which always changes behaviour anyway), were monitored for a short time (will a reduction still be effective in 5 years? ), and volunteered – meaning that they were probably looking for a way to get more healthy anyway. I don’t have a lot of time for Labour’s policy. 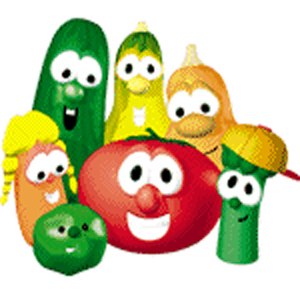 We do not and have never restricted our purchases of veggies or fruit because of price. We do chose which veggies we might purchase on any given day by what is least expensive, but generally we recognise that fresh produce is a good thing, and if we need to cut back we’ll do it on luxuries. To me it’s a decision about how you treat your families health. If you don’t want to purchase veggies, you won’t – simple as that. The Greens should likewise hold their heads in shame over being party to Labour’s shoddy behaviour. Why? They never have in the past. In fact, they’re still insisting they were right on the EFA – Labour’s blatant attempt at skewing the electoral system in their own favour. As for the article itself, I’m not convinced Trevor’s behavior beats this attempt. I haven’t fisked No Right Turn for a while, and I was looking through his posts. New Zealand is currently in the grip of a winter storm, which has seen Christchurch blanketed in snow. So its a great day to learn that Gerry Brownlee, dictator of Christchurch, delayed the installation of emergency heating in the city for two months – leaving residents to freeze in their earthquake-damaged homes. Wow, that sounds bad. Let’s have a look at the link. “As the installer says to Mr Brownlee, ‘many older people and families (are) still living in near third world conditions with only one heat pump in a freezing climate. Many people have had their 20Kw long burner or fire replaced with a 5-9 Kw heat pump and they need more than the one heat pump to keep warm for the colder months ahead’. Clayton Cosgrove said the installer’s letter was in response to an official communication thanking him and other suppliers for their “tremendous effort” achieving the installation of all emergency heat pumps by the end of June. So in fact, phase 1 was the urgent bit, solving the emergency situation. And it’s 100% complete. But I guess that was already obvious. There is also the fact that ordinary heaters are still as cheap as chips, and work much better than heat pumps in “near freezing” conditions. Ever heard of a “reverse cycle”? That’s where your heat pump gets so cold it has to take warm air out of the room to heat up it’s outside unit. In other news, people wonder why no one thinks Labour is electable. Update: Of course, talking about “quake damaged homes” is intended to suggest that there are occupied homes with gaping holes in the side. It goes without saying that such homes have other problems that additional heat pumps will not fix, and have nothing to do with the heat pump program. Talk about spinning like crazy. Labour is appealing to the privacy commissioner about lists of supporters and donors falling into the hands of a right-wing blogger…. President Moira Coatsworth said the party discovered on Saturday that there had been a potentially “malicious” breach of the database. An investigation revealed within hours that there was a “system vulnerability” that allowed Slater to access the details. The database included details of several hundred donors but Ms Coatsworth said no credit card details were held on the site. Saying that there was a “system vulnerability” implies one single chink in their security armour. In reality, they had no security worth mentioning. There was no “breach” of the database. That implies that someone actually hacked into their operational database instead of what actually happened – that they left a copy of their data in a public place. The difference between those two things is a CIA mission and picking up something left on a windowsill (and one that can be seen from the road at that). There’s an implication that they detected a security issue and leapt into action. In reality, this directory has been open for (potentially) months, and this data has almost certainly been picked up by various hackers long before Slater alerted them to their issues. To give you an idea of how common hacking is on the internet, 6 years ago when I was on dial up, I had a program that warned of malicious attacks. It would alert on average every 10 minutes. This data is long gone. And finally, it’s pretty cheeky to call the privacy comissioner when they are the ones who put others information into the public domain. It was their responsiblity to keep this data secure. The fact that the data ended up in Slater’s hands is neither here nor there, the point is that it was publicially accessible. I suspect that Labour are going to be pummled by this. Who in their right mind would expect a political party to have anything less than top notch IT security? Yet Whale has demonstrated that Labour’s was so pathetic even a child could have found the data. Good luck with that complaint. Oh, was that really a red light officer? The Dunedin South MP appeared at Parliamentary questions this afternoon wearing the team’s old blue, gold and maroon kit in protest at the new lime green colour. Highlanders management controversially announced last week the team would wear a green stripe from next season. Speaker Lockwood Smith declared the shirt violated Parliament’s strict dress codes and ordered Curran to leave. Parliament’s dress code dictates male members must wear a tie or jacket buttoned up to the neck. Women must wear ”normal business attire” however there is no specific detail on what is allowed. Not because she wore the shirt. That was a stupid stunt. Labour MP Clare Curran says she was surprised to be thrown out of the House for wearing a Highlanders’ rugby shirt and believes it was an “over reaction” from Speaker Lockwood Smith. She said she was surprised and would consider whether she would change and return to Parliament this afternoon. If she’s surprised that a rugby shirt wasn’t suitable attire, then she’s going to be surprised by a lot of things in life. Oh, and they’re claiming sexism on this. Really.